Our skilled craftsmen are experts in working with hand hammered and hand tooled copper. 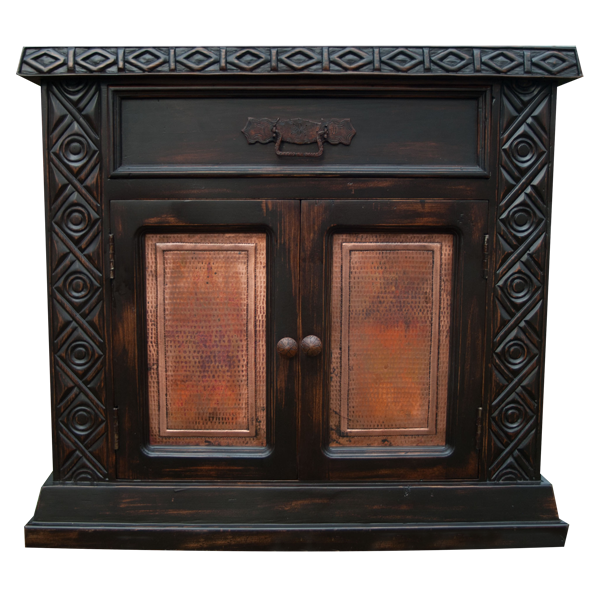 This handcrafted end table has two rectangular, cabinet doors, and each door panel is adorned with a hand hammered and hand tool copper panel, and with a copper pull handle. Directly above the cabinet doors is a rectangular drawer, and centered in the drawer is a hand forged, iron handle made by our skilled craftsmen. 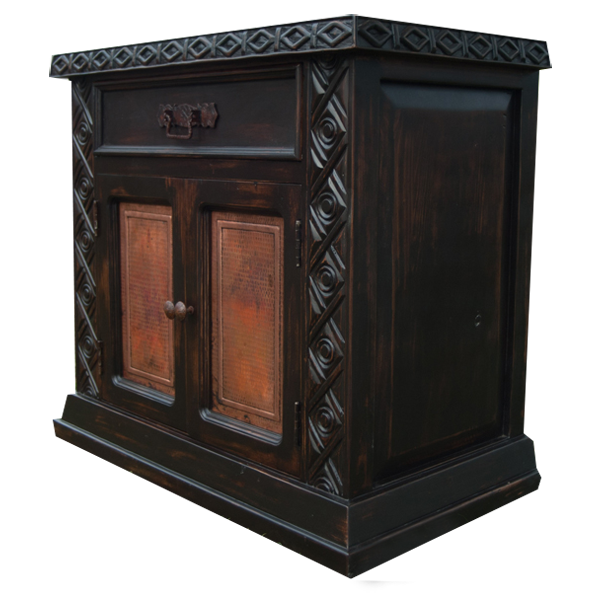 The end table has a beautiful, dark finish, and the top is adorned with geometrical hand carvings around its rim. The front uprights are adorned with a different style of hand carved, geometrical designs. There is a decorative, wood panel on each side and the end table rest on a lovely, wood molding base. It is made with the best, sustainable, solid wood available, and it is 100% customizable.